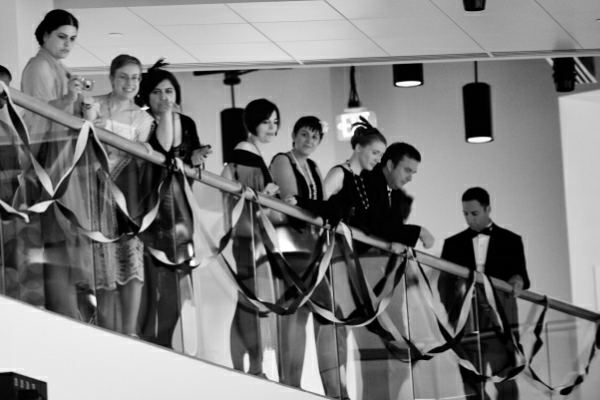 Got this from the Arlington Library about this year's Ball - 1950s, From Russian with Love, James Bond themed this year. And it looks like there will be a SPY GAME!! They also emailed the link of pics from last year's Eight-Thirteen Ball. There's a good pic of Isabella, Jessica, and I up on the balcony! We are on the left. Thank you to those of you who filled out our survey of last year's Eight-Thirteen Ball! We got some great ideas for future Balls to come. Also, the date is set and tickets are on sale for this year's Lit Up Ball: From Russia with Love! We'll be at Artisphere on Saturday, Oct. 18, from 8-11 p.m., dancing the night away to 1950s era music by the Hot Society Orchestra, eating yummy desserts, watching dance demonstrations by Fidgety Feet dance troupe, and bidding on themed raffle baskets! We also have a spy game planned for the evening, so get ready for some covert activity.